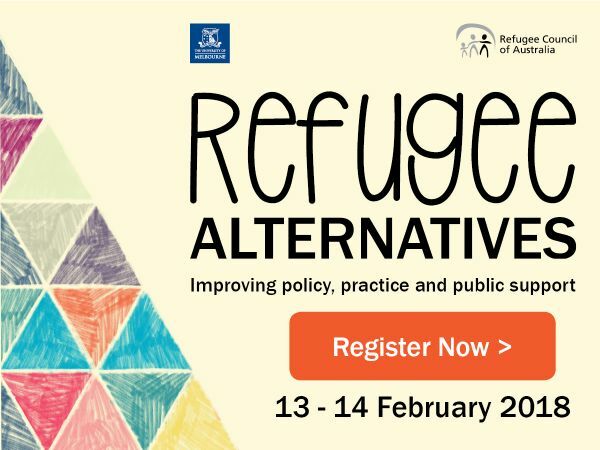 Melbourne Social Equity Institute is delighted to be working with the Refugee Council of Australia to present the Refugee Alternatives conference at the University of Melbourne in February 2018. This two-day event is focused on improving policy, practice and public support for refugee and asylum seeker issues. The event brings together a broad range of expertise covering topics of displacement; protection; cooperation; wellbeing; resilience; education; advocacy; and unity. The speakers will discuss these topics across the local, national and international space and bring their extensive and complementary expertise to the discussions, notably and vitally, that of lived experience. Refugee Alternatives 2018 from Refugee Council of Australia on Vimeo.